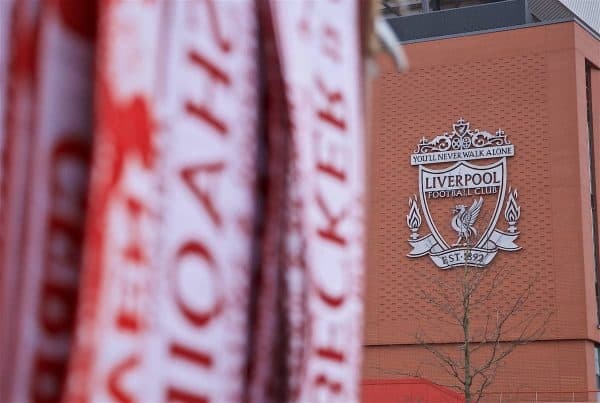 Liverpool have issued a strong statement condemning homophobic chanting and a throwing of a smoke bomb into the away end during Sunday’s 2-0 win over Chelsea. The Reds’ victory was a major statement for Jurgen Klopp‘s side in the title race, and the atmosphere at Anfield played a big role in pushing them forward. This came after an impeccably served minute’s silence on the eve of the 30th anniversary of the Hillsborough disaster, amid concerns of disruption from the travelling Blues. Unfortunately, Liverpool’s win was marred by two ugly incidents involving supporters, which the club have responded to on Tuesday morning. 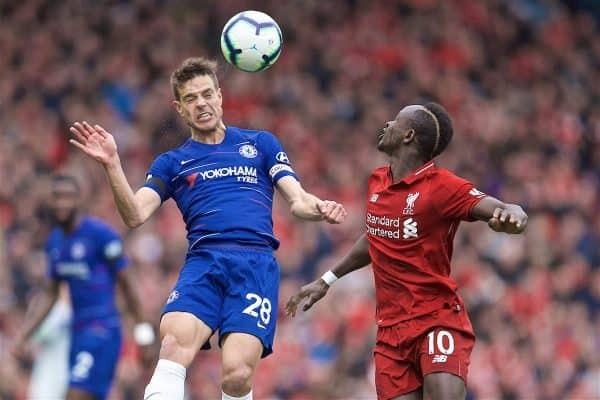 Most prominently, this came with one fan sending a flare into the bottom tier of the Anfield Road end after Sadio Mane‘s opener, landing among the Chelsea supporters and leaving nine-year-old Donte Patterson-Stanley requiring first aid. And, in a disappointing development given the racist abuse aimed at Mohamed Salah in the buildup, Liverpool have also been required to reiterate their stance on homophobia, following a “Chelsea rentboys” chant. “Liverpool Football Club would like to thank the players, staff, officials and supporters of Chelsea for their compassionate marking of the Hillsborough Anniversary during our fixture at the weekend,” the statement began.